We’ve also been cooking more frequently but it’s been with the help of some meal kit services. So far we’ve tried out Plated and Blue Apron and we’re liking Plated better for our family of 3 adults — actually, the 17 year old eats more like 2 adults! We took a little vacation last month and spent two weeks aboard the Celebrity Summit. I used a gallon of sunscreen but had the best time lounging on the deck or on the shores of countless Southern Caribbean beaches. I still dream about it every night and keep hoping I will have another opportunity to go back soon. But at some point we’ve got to get the new house built. We are getting closer. I think we’ve settled on a contractor and the plans are done and the budget seems pretty finalized. Maybe by the end of the year I can have something to show you (fingers crossed until they’re blue!). I guess that’s about it for catching up. How about a delicious libation to make up for my extended absence? Who doesn’t love a good classic margarita? Especially one without any artificial flavor or dyes? And, I’m getting it to you waaaaay before Cinco de Mayo so you will have plenty of time to prepare. You may also want to check out some Guacamole, Fish Tacos, or Pina Coladas. I also have some other margarita recipes here and here. I think you will love this margarita recipe as much as I do because it has just the right balance of sweet, sour, and tequila. And the salt rim is great, too, because it has a little sugar and citrus zest to offset the harsh salinity of the salt. Give it a try soon and let me know what you think of my concoction! Thanks to my beautiful friend, Jessica, for being the margarita model and taste tester! Heat the water and sugar in the microwave on high until the sugar is dissolved, stirring every 1-2 minutes. Cool to room temperature then stir in the juices. Refrigerate until ready to use. Combine all ingredients in food processor or blender and pulse until well combined. Fill a small saucer with a little bit of tequila. Fill another small saucer with a little bit of the salt mix. Prepare your glass by dipping the rim in the tequila then dipping it in the salt mix. Fill the glass with crushed ice. Fill a cocktail shaker with ice and pour in tequila, orange liqueur, and margarita mix. Shake vigorously until the shaker is frosty. Strain the margarita over the ice in the prepared glass. Enjoy responsibly. Saying I have tested a lot of brownie recipes looking for the best one would be an understatement. I have tried at least 8 versions claiming to be the world’s best brownies but none of them lived up to the hype in my book. 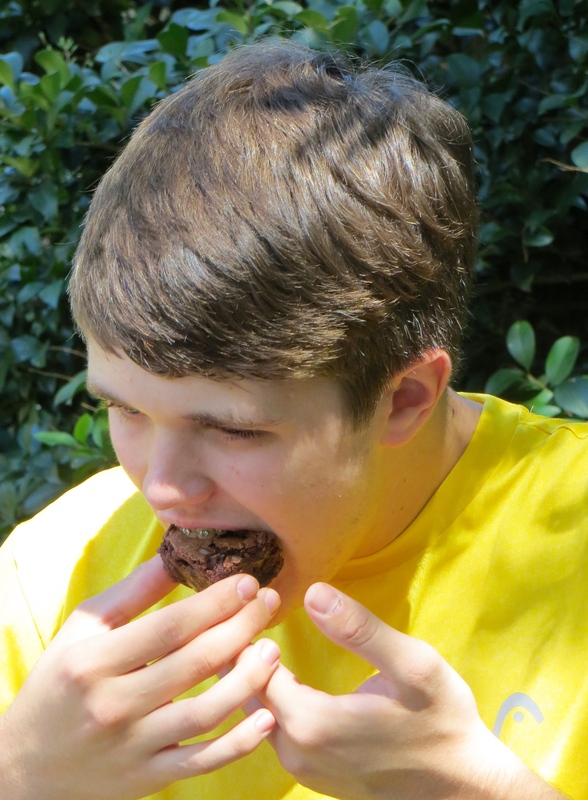 I want a brownie that is chocolatey without being too gooey but still has a nice moist and tender crumb. Basically, I wanted the brownies from the local bakery. I’m not naming any names because I didn’t specifically ask permission, but if you live around here, you know where I’m talking about if you’ve ever eaten one. They are thick and chocolatey and the size of your head. Basically heaven in brownie form. So one day I asked for the recipe and the owner shared her source, the Foster’s Market Cookbook. I ordered it from Amazon and made the brownies immediately. They are perfection! My only modification to the recipe was to scale it down by 50% and add some toffee chips (as the bakery owner mentioned she did). Plus, I substituted pecans for the walnuts because that’s what I always have on hand since my family owns a small pecan orchard. I hope you give this recipe a try. Let me know what you think! Preheat the oven to 325 degrees. 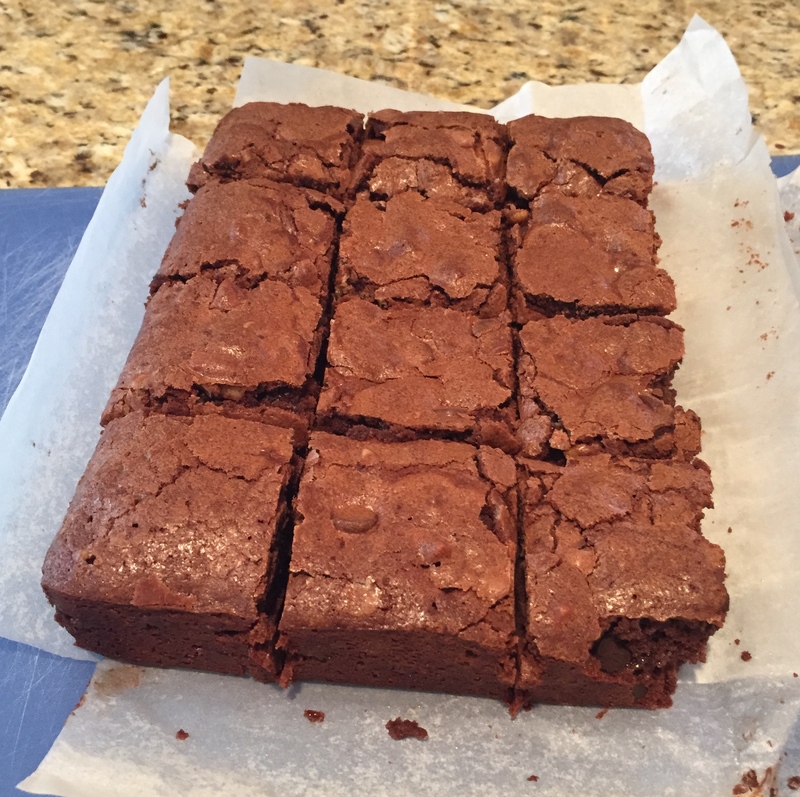 Line an 8″x8″ square pan with parchment paper or spray it with nonstick cooking spray (I think lining it makes it easier to remove and cut the brownies). Sift together the flour, cocoa, and salt and set aside. In a medium bowl, cream the eggs, sugar, butter, and vanilla with an electric mixer until well blended. 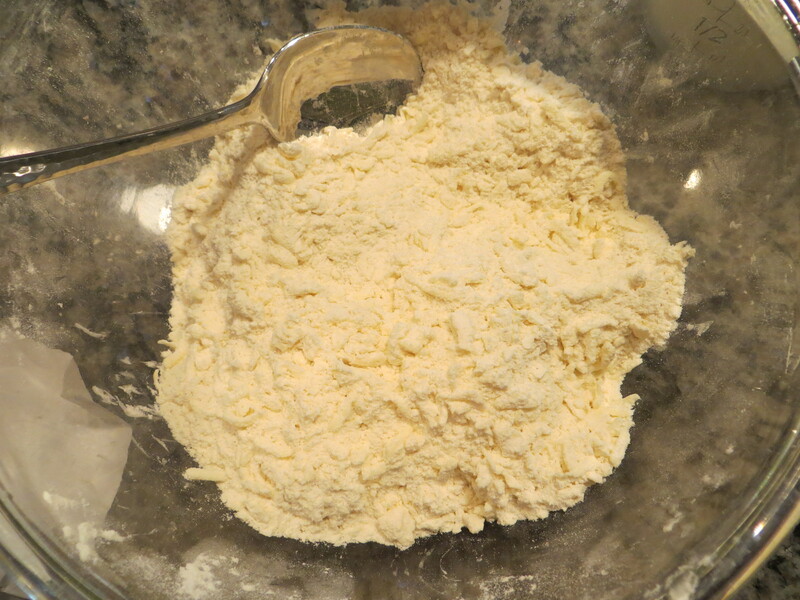 Add the flour mixture and mix until all the dry ingredients are moist and blended but do not overmix. 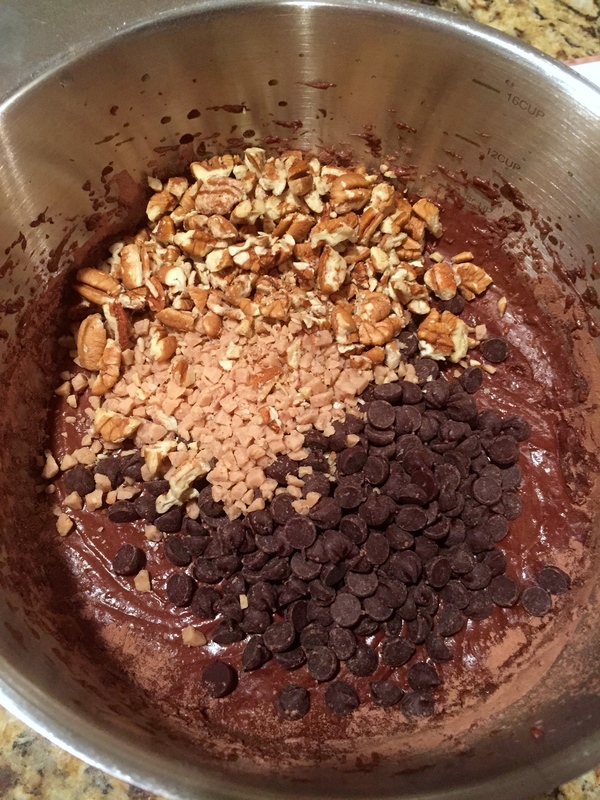 Fold in the pecans, chocolate chips, and toffee chips and stir to blend evenly. Spread the batter into the prepared pan. 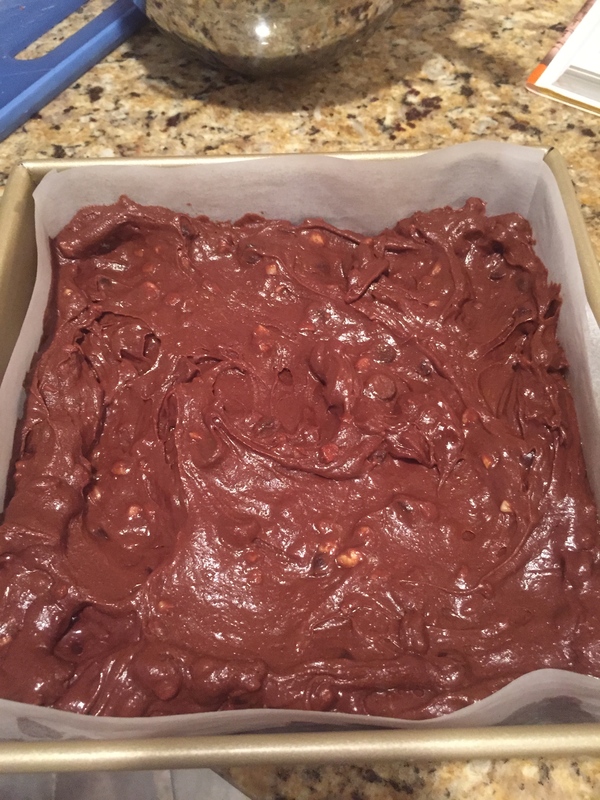 Bake in the preheated oven for 45-55 minutes, or until the brownies are firm to the touch and a toothpick inserted in the center comes out mostly clean. Remove from the oven and cool on a rack for 30-40 minutes before cutting into 16 squares. Adapted from The Foster’s Market Cookbook. Howdy, Friends! I hope your summer is getting off to a good start. We have been very busy in this neck of the woods and computer problems have kept me from chatting with you as regularly as I would like. 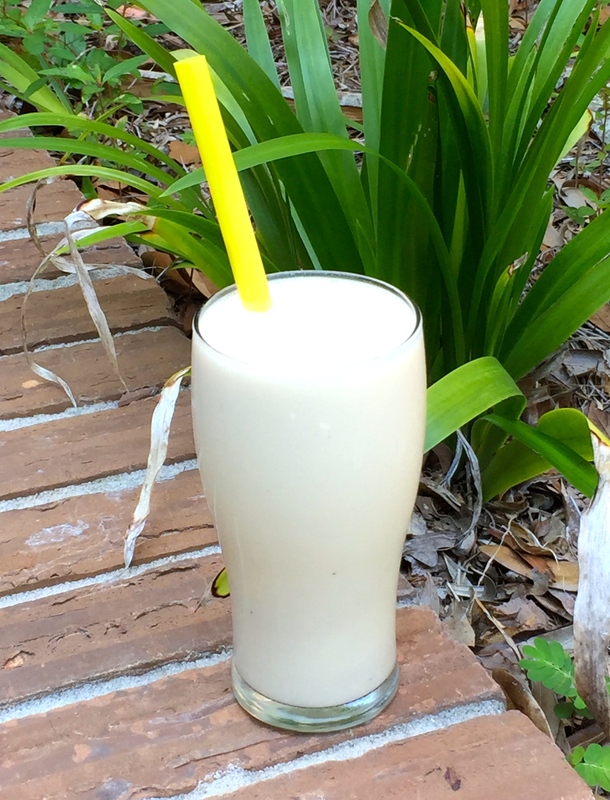 But I’m back today to get caught up and to share a delicious frozen drink recipe I discovered on a recent Caribbean vacation. Sound like a plan? As you may remember, we sold our house and moved into a small condo 6 months ago while we build a new home. The new home building is going very slowly as we had to work many kinks out of the plans and we are now waiting on bids to come in from the contractors. Hopefully once that is done we can get the ball rolling a bit faster. On the computer front, my iMac died and I had to get a new one. In the process, the Apple store caused me to lose everything on my hard drive when they told me they had performed a back up to my external drive (which I paid them to do), then turns out the external drive was empty and they had deleted the old hard drive trying to repair it. So I have been trying not to focus on all the lost pictures and such and come up with a game plan to salvage as much as possible from Flickr, old phones, old PCs, etc. On the sewing front, remember me telling you that I submitted my Bombshell dress for the Butterick pattern contest? Well, I came in 3rd place and won several Gertie patterns. Some of them are duplicates of ones I already own so we will have a giveaway the next time I post a finished sewing project (of which there are a few). And on a happy note, Mr. Homemaker and I went on a week long cruise through the Southern Caribbean a couple weeks ago and it was divine! 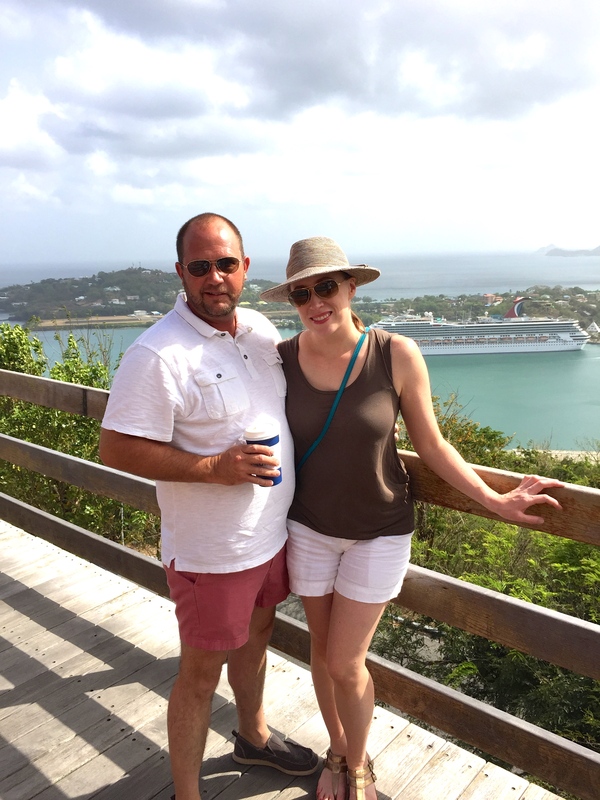 While we were in St. Thomas, we took a private charter boat out for the day and did some snorkeling in St. John then headed over to Jost Van Dyke in the British Virgin Islands for some R&R. We shared our boat with a few other passengers who ended up being some fellow southerns! And the youngest of the group was even a student at the University of Alabama. Small world! We loved making new friends and spending the day with Carol, Ruth, and Trey and our captain Kevin. 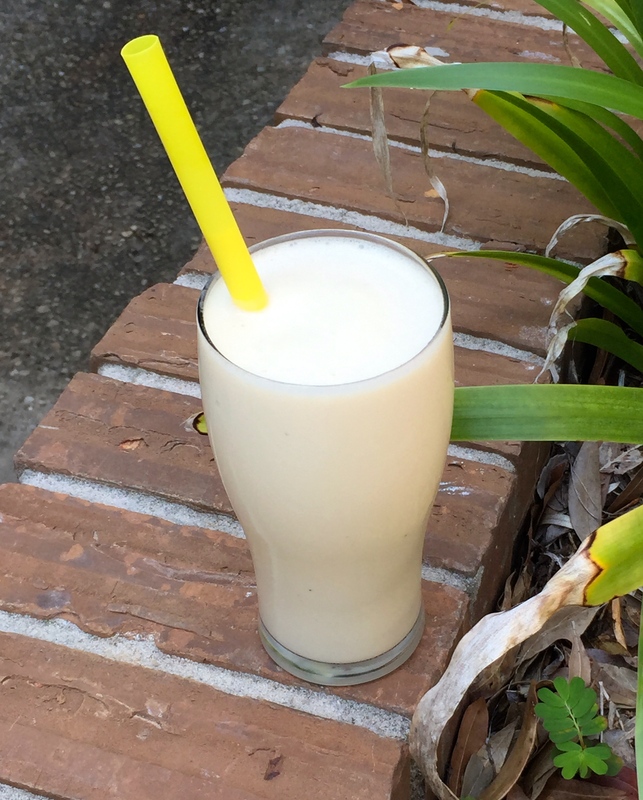 Ruth grew up in St. Thomas and in her youth spent some time as a bartender, during which time she invented the drink, the Bailey’s Banana Colada, or BBC for short. I had tried this drink before on a prior cruise but meeting it’s inventor made me even more keen to recreate it at home. Turns out my existing pina colada base made for a great starting point! I chatted with Ruth once we got home and she gave me her original recipe which I hope she doesn’t mind me taking the liberty to tweak just a bit for my taste and to present to you here. 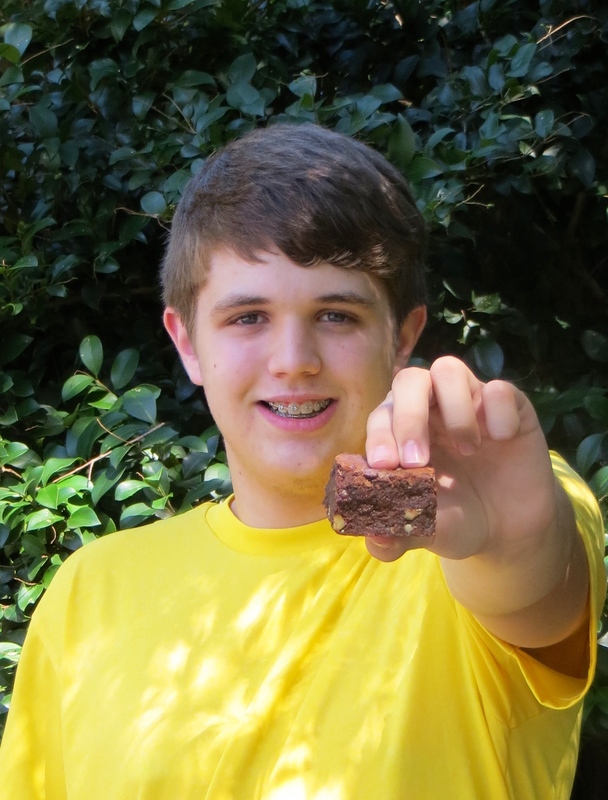 Thanks for the recipe, Ruth, and we look forward to seeing you, Carol, and Trey again soon! Fill two glasses with crushed ice. Divide rums and Irish Cream evenly between the two glasses. Top both glasses with pina colada mix just to the top of the ice. Pour contents of both glasses into a blender container and toss in the banana. Blend on high power until smooth and the outside of the blender container is frosty. Pour back into the glasses and garnish as desired. Enjoy immediately and responsibly. Courtesy of my friend Ruth. Happy Thursday again, friends! I hope the upcoming weekend holds promise for being fun and relaxing for you. I am here to tell you about another ingredient that may fit right in to said weekend. 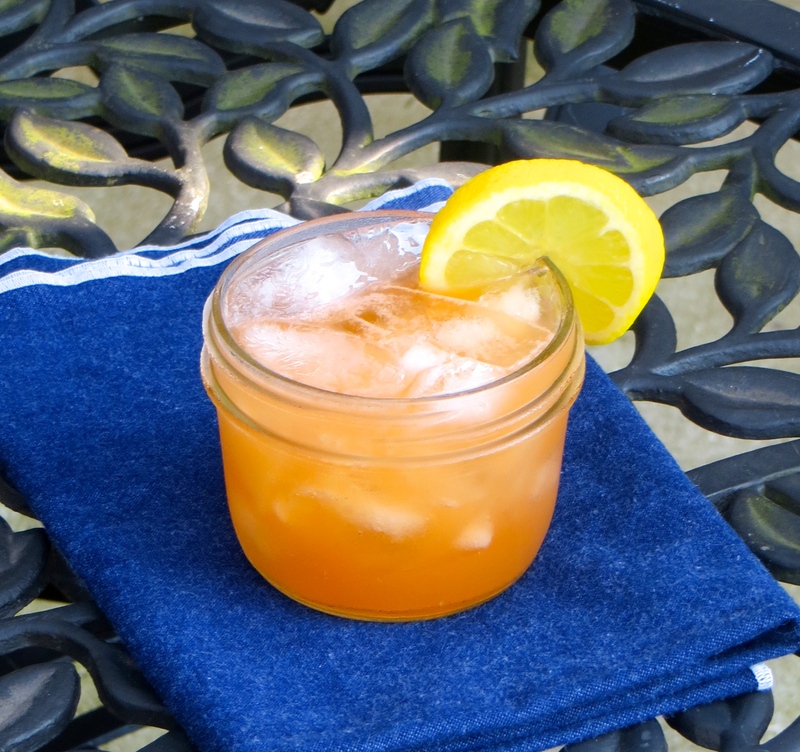 This beverage is called the Kentucky Saint and the recipe is courtesy of La Petite Grocery, a James Beard award-winning restaurant on Magazine St. in New Orleans. Mr. Homemaker and I took a day trip to NOLA earlier this summer (for fabric shopping and eating), and this is where we chose to have a late lunch. Thank goodness we did because the service was friendly, the drinks were refreshing, and the food was delicious. That afternoon, I went and purchased the ingredients that were listed on the menu. But no matter what ratio I tested, it didn’t taste quite right. So I sent an email to their bar manager, Julia (who happens to be from my hometown), and she graciously provided me with the official recipe. And the missing ingredient? A splash of orange juice. This cocktail makes bourbon taste good even to the bourbon-averse among us. 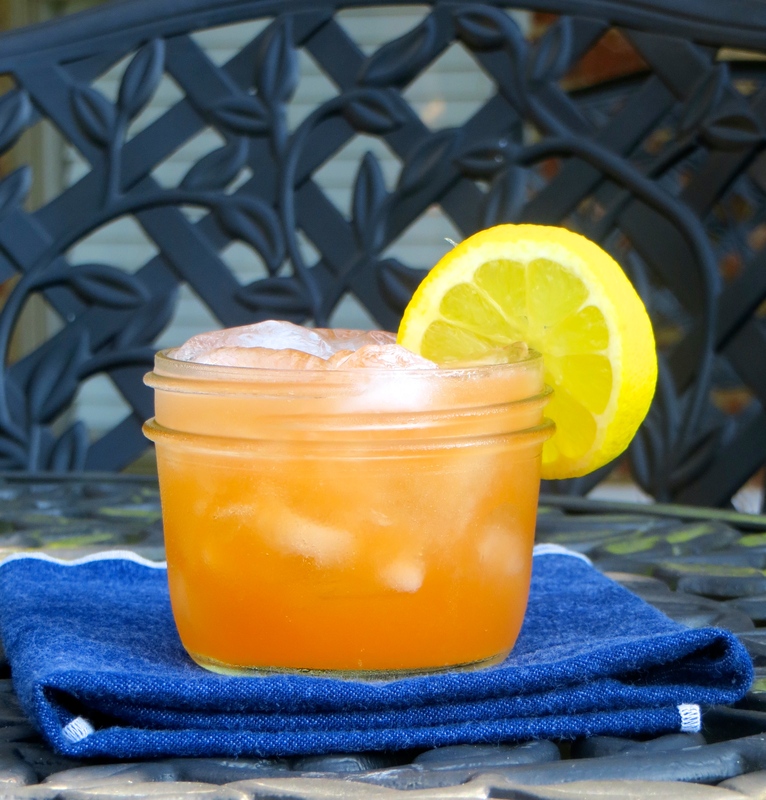 It has just the right amount of sweetness and citrus to compliment the bourbon. I didn’t think I would like this one but surprisingly, it is now a favorite. Give it a try and let me know if you find it as much of a palate-pleaser as I do. Combine all of the ingredients in a cocktail shaker and fill with ice. Shake vigorously until the outside surface of the shaker is frosty. Strain into a martini glass straight up or pour over ice in a rocks glass. Garnish as desired and enjoy! Courtesy of La Petite Grocery. From what I hear, some parts of the world are starting to show signs of fall — autumnal leaves, crisp evenings, and don’t forget all the Christmas decorations in the stores (ugh!). Here in the Deep South, Fall hasn’t even scheduled his airfare to our area. Highs are still in the 90s and humidity is always 100% (or close to it). We have rain showers most days. Although I have not dusted off my boots or pulled out my sweaters, I would like to keep the spirit of the changing seasons and bring you an appropriately flavored cocktail that is still palatable and refreshing when your backyard is a sauna. Enter La Recolte (The Harvest en anglais). This is a cocktail that evokes thoughts of golden leaves, holiday gatherings, and cuddling up by the fire. It is also a cocktail that isn’t too sweet or too tart and has a refreshing effervescence that you can enjoy after swimming in from the mailbox or melting while carrying in your groceries. I love the styling of this bottle! 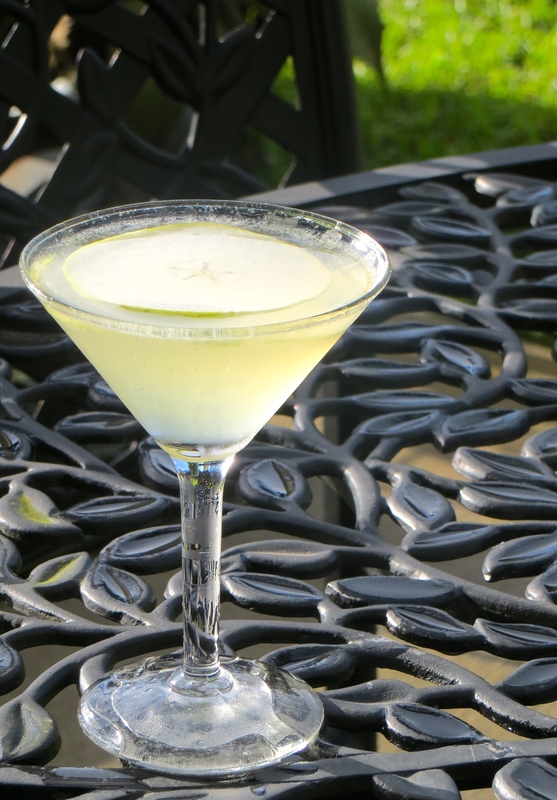 I found this recipe while searching for things to do with St. Germain liqueur — a French libation flavored from elderflowers. I had purchased a bottle for another recipe I will share with you later, but I like for things in my pantry to do double or triple duty if possible. 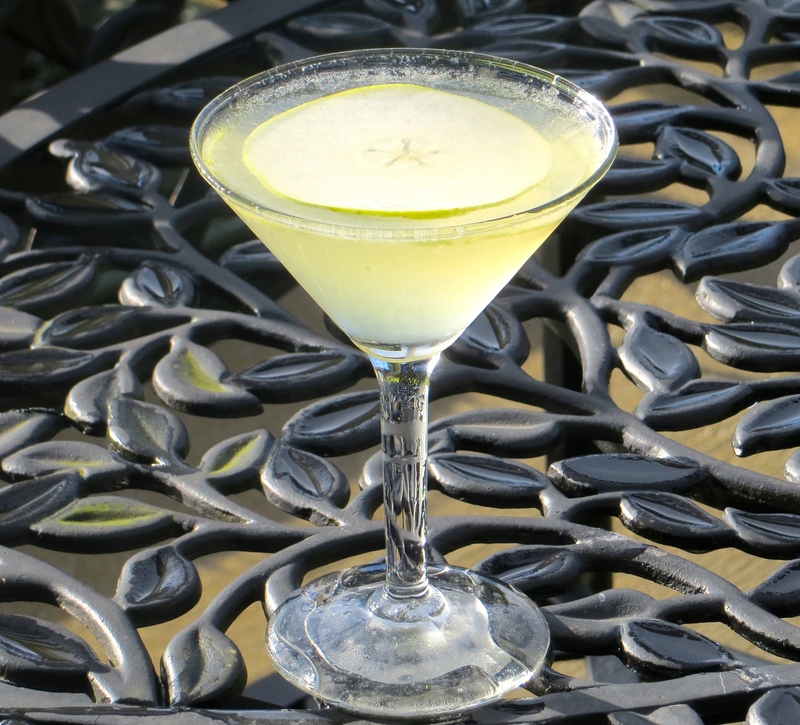 Enter the Pear and St. Germain Martini. This cocktail is a nice clear drink that is great made 1 or 2 at a time but would also work well mixed up as a punch for a cocktail party or bridal shower (consider adding a bottle of ginger ale to the mix to bring down the potency). 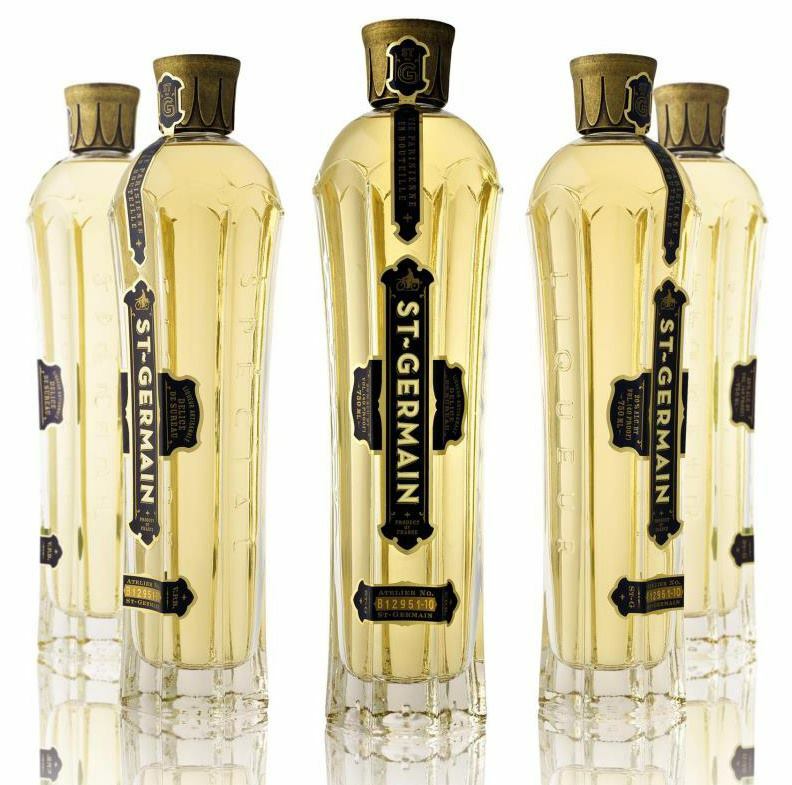 The lemon juice and champagne help balance the sweetness of the St. Germain and pear vodka. So if you find yourself with this random assortment of ingredients in your pantry, or if you just fancy a new, refreshing cocktail, give La Recolte a try and let me know what you think! Combine the first three ingredients in a cocktail shaker and fill with ice. Shake vigorously until the outside of the shaker is frosty. Strain into a martini glass and top with enough sparkling wine to fill. Garnish with a pear slice and enjoy! Adapted from St. Germain website. Last fall we went to Orlando, Florida for work/fun. While there we tried out the restaurant Cask and Larder. It was delicious and before leaving I purchased the cookbook from their sister restaurant, The Ravenous Pig. I perused the book on the trip home and decided the first thing I had to make were these Gruyère Biscuits. And I have made them at least a dozen times since then. They are great for any meal. I love them for breakfast with a little butter and homemade peach jam. But they are also good with dinner in the place of your traditional biscuit. I have even cubed the leftovers and made croutons for salad! This recipe employs some basic pastry making techniques that may or may not be familiar to you. But don’t let that stop you from trying these out. They are definitely worth the effort. You can also make a double batch and freeze the uncooked biscuits to pop in the oven later. 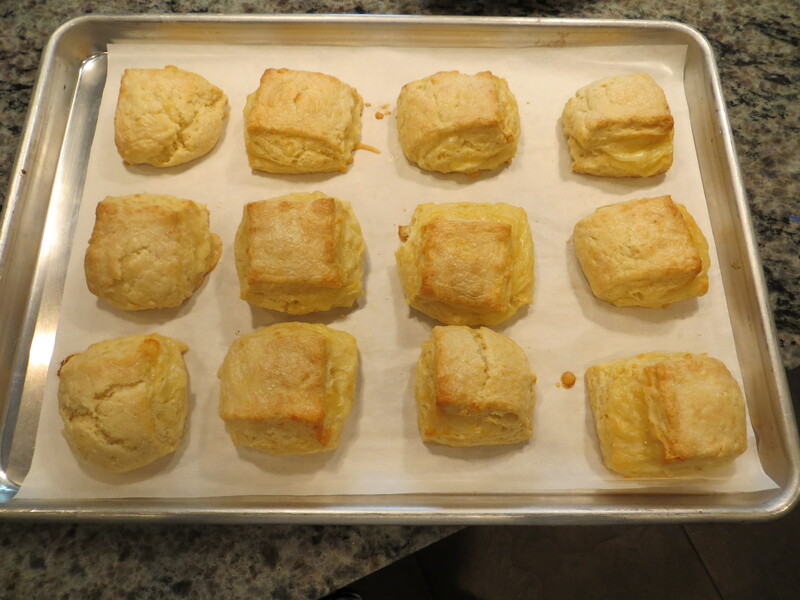 Just put the frozen biscuits on your baking sheet and place in the preheated oven. You will need to bake just a few minutes longer. First, combine all your dry ingredients in a bowl. Then, grate your frozen butter using a box grater. Work the butter into the dry ingredients with your fingers until it resembles coarse meal. This shouldn’t take too long since the butter is already in such small pieces. Now stir in the cream and buttermilk just until mixed. The dough will look rough and shaggy but will pull away from the sides of the bowl. Sprinkle your counter top with a nice dusting of flour and spoon your dough on top. 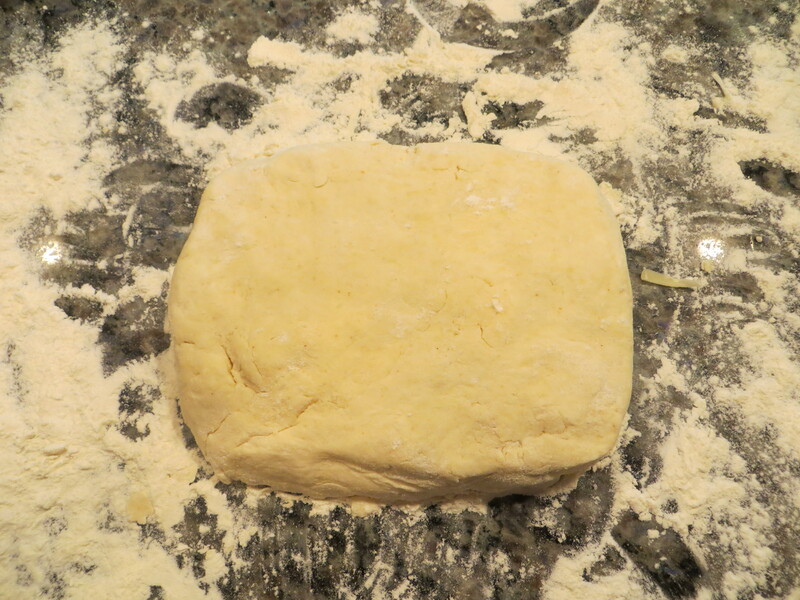 Gently shape the dough into a rectangle and roll it to about 1″ thick. 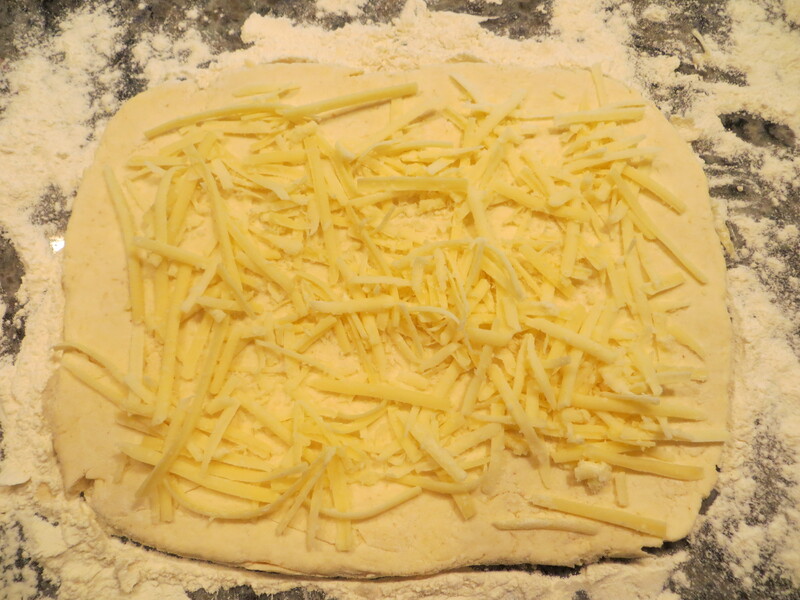 Sprinkle the dough with half the cheese mixture. Fold the dough up into thirds like you would a letter. 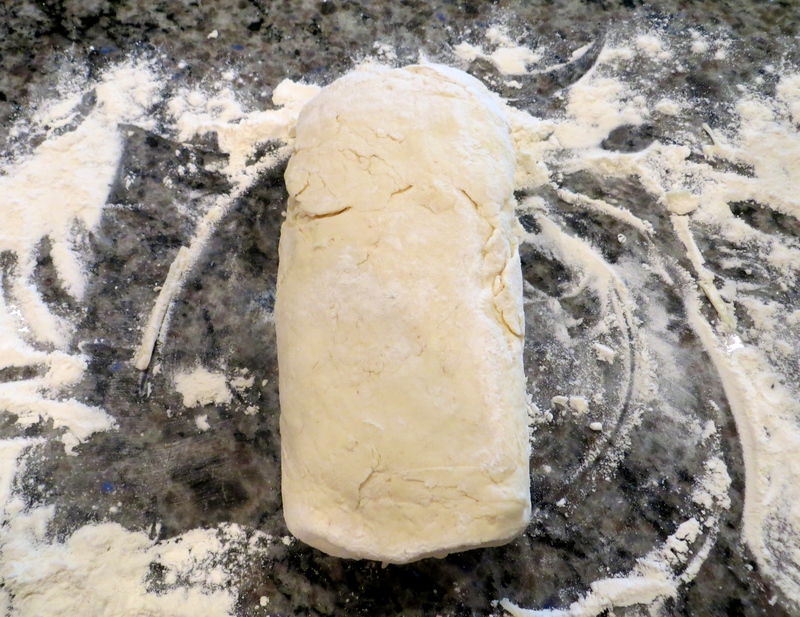 Roll the dough out to about 1″thick. 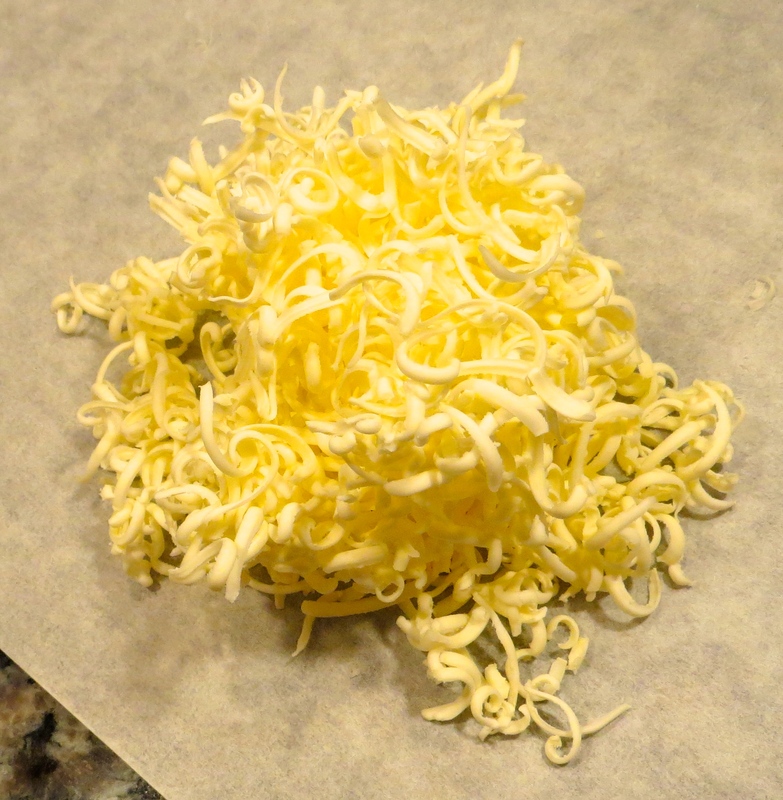 Repeat sprinkling the rest of the cheese, fold and roll to 1 1/2″ thick. 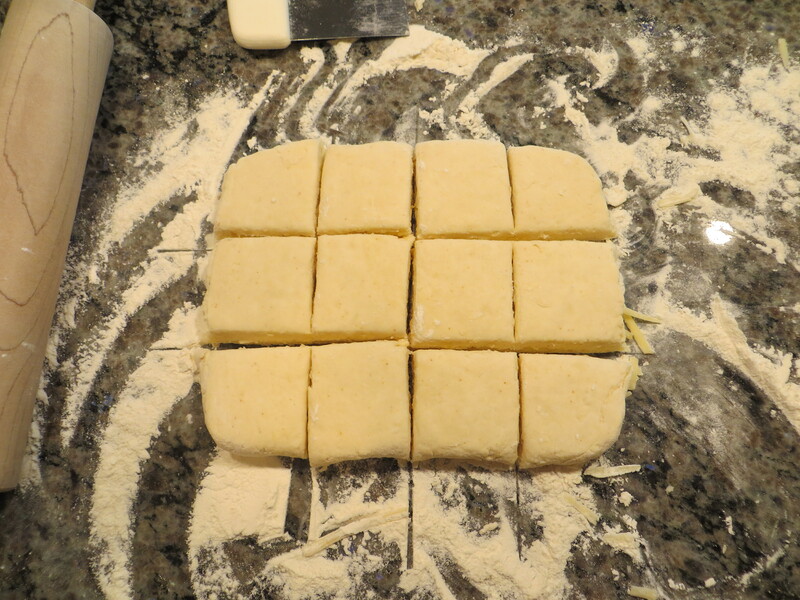 Using a knife or bench scraper, cut the dough into 12 equal squares. Or get fancy and use your round biscuit cutter. Transfer the biscuits to a parchment lined or buttered baking sheet and brush the tops with a little cream. Bake at 375F for 12-14 minutes until golden on the tops. Enjoy in whatever manner you prefer. With homemade peach jam and a side of homemade bacon (recipe from the same cookbook) and Conecuh sausage. Or make a bacon or sausage biscuit sandwich. How ever you enjoy them, just promise me you will make these biscuits ASAP! Preheat the oven to 375F. Line a sheet pan with parchment or brush with butter. 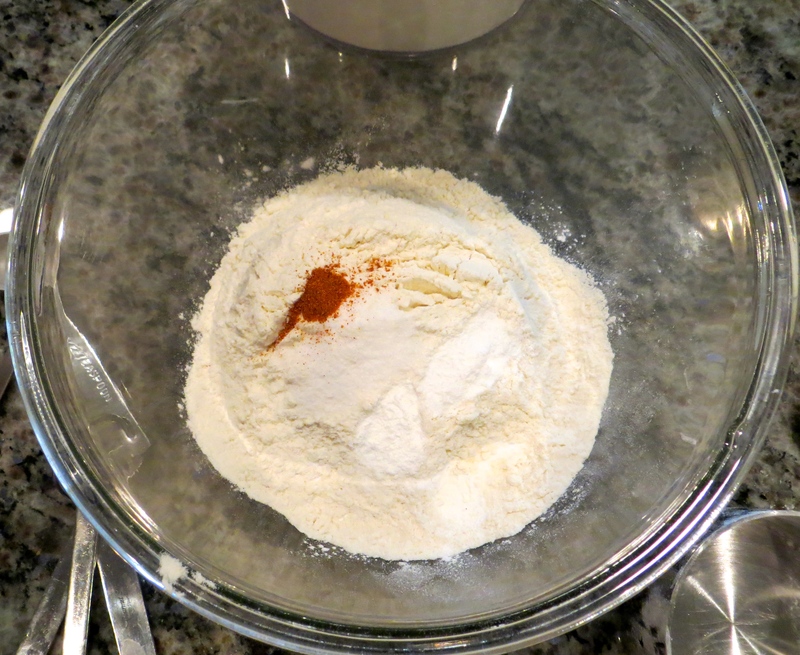 Combine the dry ingredients in a medium bowl and whisk together to combine. Using a box grater, grate the butter into the dry ingredients. Blend the butter and dry ingredients with your fingers until the mixture resembles coarse meal. Pour in the cream and buttermilk and stir just until combined and dough pulls away from the sides of the bowl. 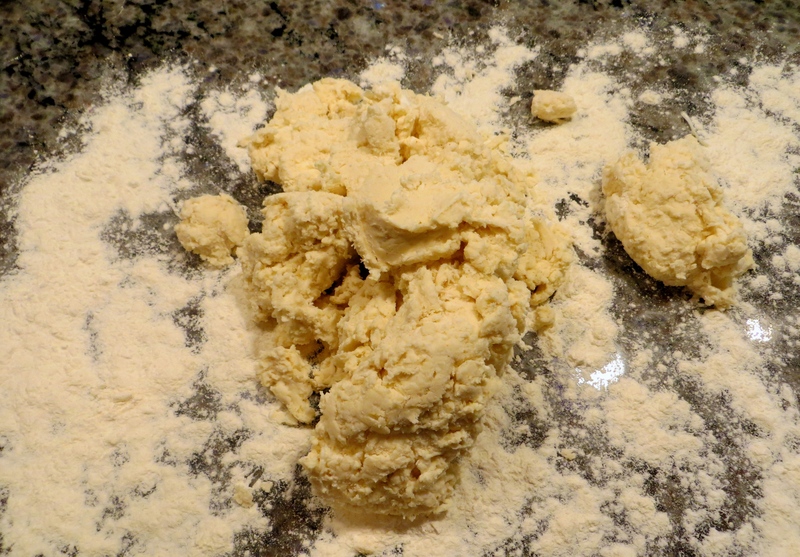 Transfer the dough to a floured work surface. Pat into a rectangle and sprinkle lightly with flour. 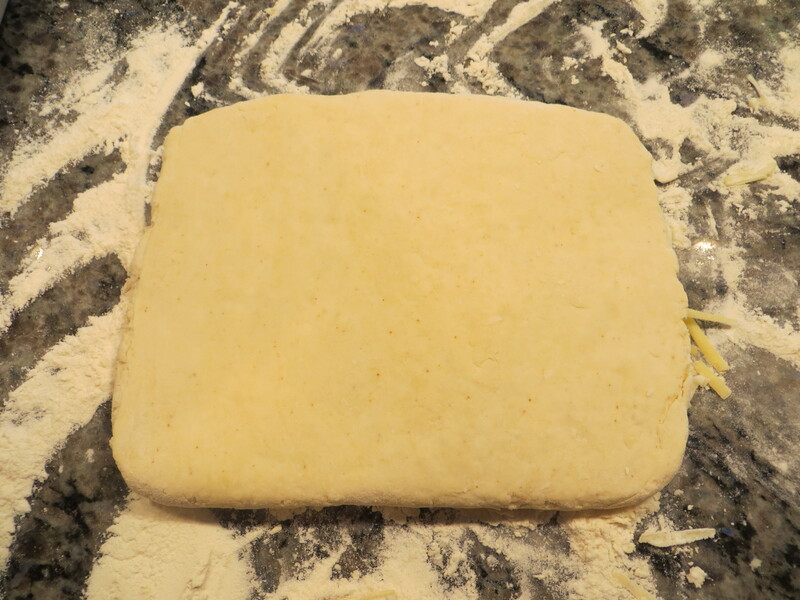 Roll the dough to 1″ thick. Sprinkle the dough with half of the cheese mixture. Fold the dough into thirds like a letter. Lightly flour the surface of the dough and roll again to 1″ thick. Sprinkle with the remaining cheese and fold into thirds and roll to 1 1/2″ thick. 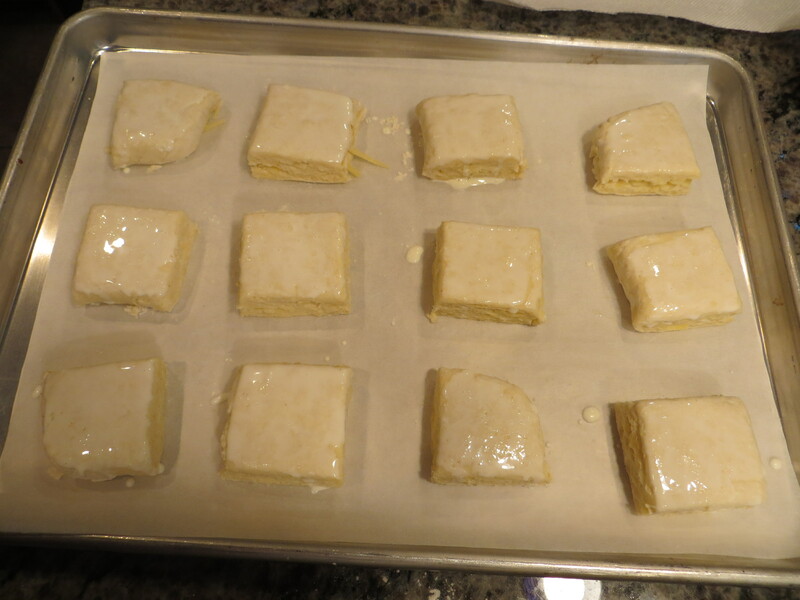 Cut the dough into 12 squares (3×4) and place 2″ apart on the prepared pan. Lightly brush the tops with the remaining heavy cream. Bake in the preheated oven for 12-14 minutes, turning the pan halfway through baking, or until the tops are golden brown. Remove the pan from the oven and let stand 5 minutes before serving warm. *We have used other cheeses in this recipe with success (Cheddar, Swiss, Monterey Jack, etc.). Adapted from The Ravenous Pig: Seasons of Florida. 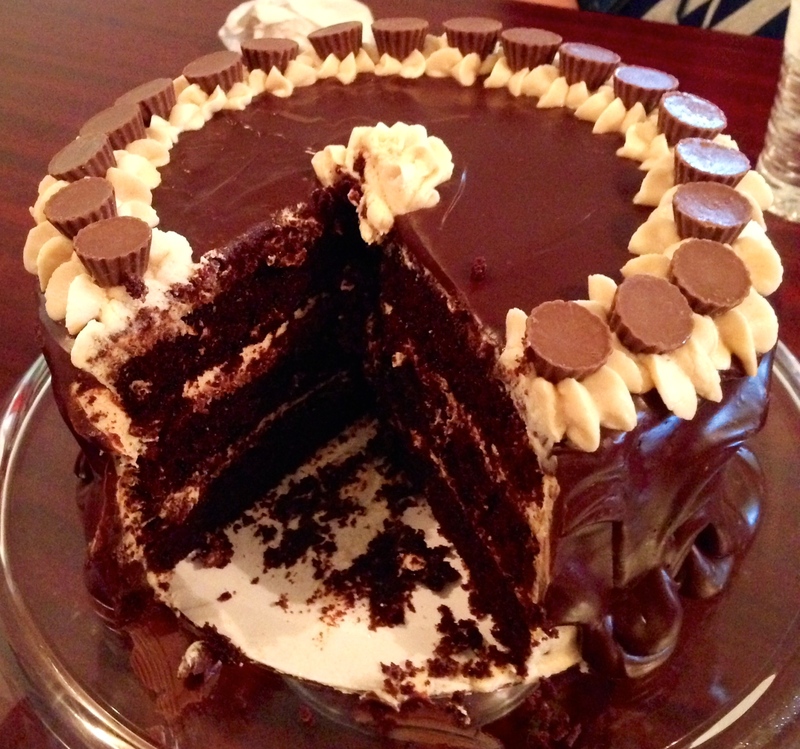 I am going to remedy that today and then some with this decadent chocolate and peanut butter layer cake. I could probably stop with that and give you the recipe and we would be in good shape. However, I will tell you a little more about it so your resistance will be even further weakened. I made this cake two weeks ago for an employee’s going away party. 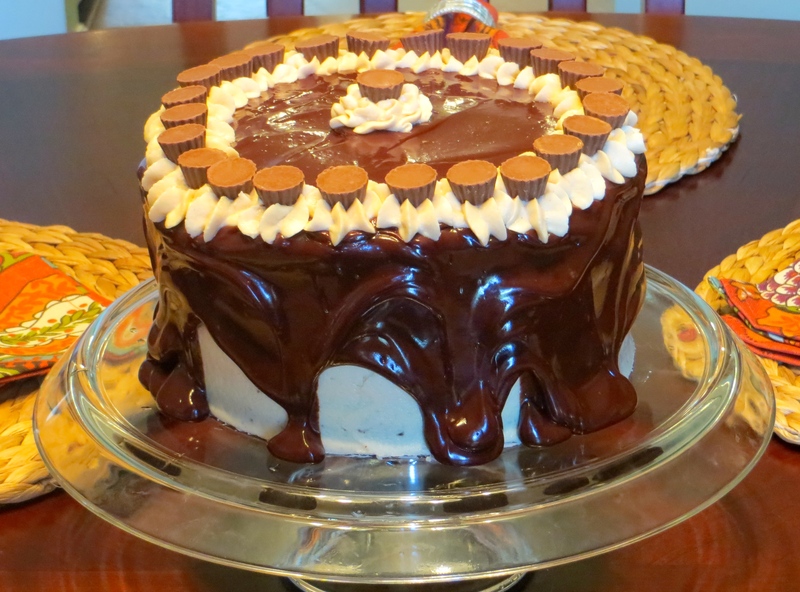 A little bird told me she liked the chocolate/peanut butter combination so I pulled out this recipe that I had made once or twice before several years ago. Everyone at the office really enjoyed the cake and we ate over half of it at the party (9 of us girls there). 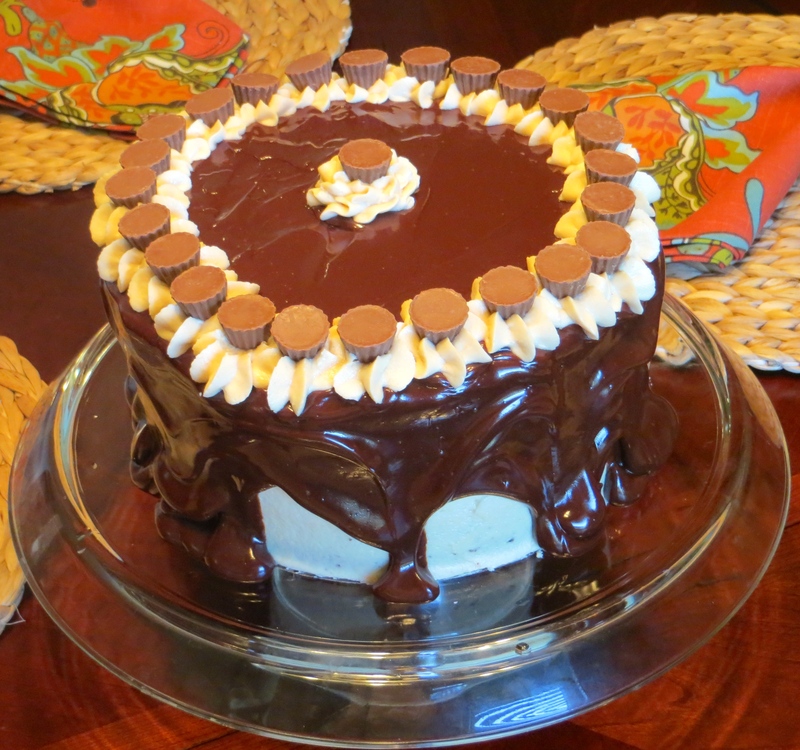 The recipe comes from the cookbook Sky High: Irresistible Triple-Layer Cakes. It is a great cookbook to have in your collection because many of the recipes look like something you would want to try (I have made several so far and all have been delicious). It starts with sour cream and chocolate cake layers that mix up easily in a single bowl and without an electric mixer if you don’t want to use one. You then fill and frost the layers with a cream cheese peanut butter frosting that reminds me of decadent peanut butter cheesecake — YUM! Finally, you top it with a thick layer of chocolate and peanut butter glaze. This cake is great because you don’t have to be a professional cake decorator to make it look impressive. And if you keep a decently stocked pantry, you probably already have all the ingredients on hand. Cake for supper? Absolutely! Preheat the oven to 350F. Prepare three 8″ round cake pans (I used Baker’s Joy spray, but the recipe suggests buttering the pans then lining with buttered parchment). 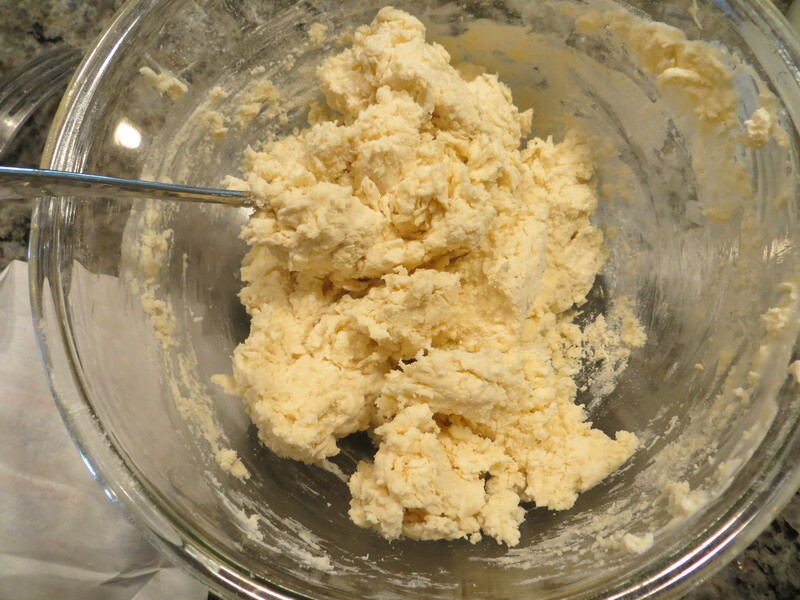 Combine the dry ingredients in a large mixer bowl and whisk together to combine. Add the oil and sour cream and whisk by hand or blend with an electric mixer. Gradually beat in the water then blend in the vanilla and vinegar. Whisk in the eggs and beat until well-combined. Divide evenly among the three prepared pans. Bake for 30 to 35 minutes, or until a cake tester inserted in the center comes out almost clean. Cool in the pans on a wire rack for 20 minutes then turn the cakes out on the rack to finish cooling. To finish the cake, spread 2/3 cup of the frosting between each layer and use the rest to frost the top and sides. You can also save a little to decorate the top after you apply the glaze. Next, spread the glaze over the top, allowing it to drip down the sides. Decorate with remaining frosting, if desired. Enjoy! Combine cream cheese and butter in a large mixing bowl and beat with an electric mixer until light and fluffy. Gradually blend in the confectioners’ sugar, mixing thoroughly for 3 to 4 minutes. Add the peanut butter and beat until thoroughly blended. In the top of a double boiler (or in the microwave like I did), combine the chocolate, peanut butter, and corn syrup and heat until melted and smooth, whisking frequently. Remove from the heat and whisk in the half-and-half, beating until smooth. Use while still warm. Adapted from Sky High: Irresistable Triple-Layer Cakes.